Ok so I have been away for a bit because I was enjoying the sun and surf in Oregon. It's such a beautiful part of the world and I had a great time camping and enjoying the sites. 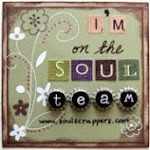 Now I am back and need to get stamping!